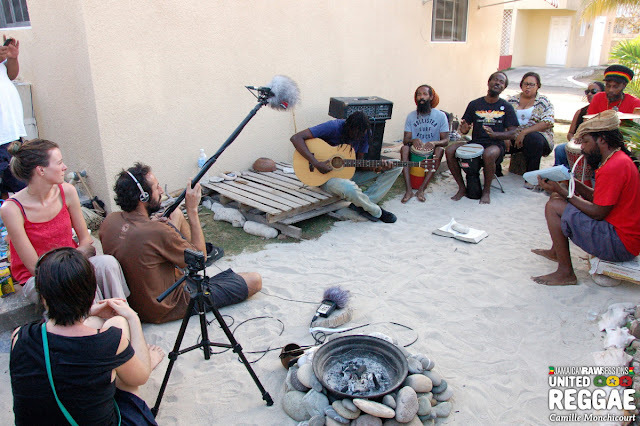 Global reggae music magazine United Reggae presents Jamaican Raw Sessions Part 1 - 14 videos where reggae superstars and rising hopefuls sing classics in their yard accompanied only by unplugged guitar and drums. Artists include Max Romeo, Kabaka Pyramid, Derajah, The Uprising Roots and The Viceroys. In February this year a team from United Reggae spent 3 days in Kingston, Jamaica, and the city’s surrounding area. The team drove around and visited places and studio yards bringing a microphone and camera. “We met the artists in the yards of the studios and asked them to perform right then and there. We put on the camera and the microphone and rocked with the raw and authentic vibe,” says Camille Monchicourt, General Manager at United Reggae and part of the team visiting Jamaica. The team visited studios like Charmax Music, Penthouse, Dubtonic Kru and Caveman International and the first part of Jamaican Raw Sessions includes a beautiful performance from Max Romeo where he sings classics like "War Ina Babylon" and "Chase the Devil" before presenting his children Rominal and Xana Romeo. Kabaka Pyramid, who is currently enjoying success with his Damian Marley-produced anti-establishment cut "Well Done", performs this song and "Never Gonna Be a Slave" accompanied by two guitar players from his band Bebble Rockers. During this time United Reggae writer Angus Taylor and photographer Veronique Skelsey were moving from yard to yard in Kingston to meet many artists and talk with them about their history and the real situation of reggae music. Read their interviews of Protoje, Jah9, Horace Andy, Ken Boothe, Kabaka Pyramid, Mark Wonder, Derajah, Anthony Senior and Nakeisha. 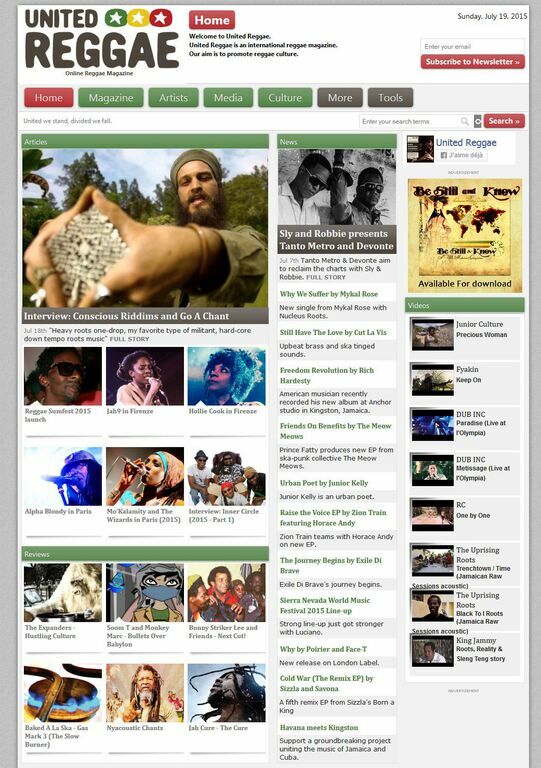 United Reggae is an online magazine created in 2007 and dedicated to reggae music. It has the intention of offering a real international platform of information on this rich and healthy music. Our aim is to promote and spread the inspiring and healing vibrations of Reggae music and culture. 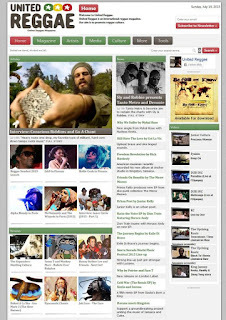 United Reggae is an online magazine dedicated to reggae music and created in October 2007. It has the intention of offering an international platform of information on this rich and healthy culture. It features news, reviews, interviews, reports, videos, audios and new releases.